Textile industry is one of the oldest industries in India. The industry basically involves manufacturing of various types of fabrics both natural and synthetic, production of machinery, and planning and development of new technology. The industry has categorized three major areas of work namely research and development, manufacturing and merchandising. It provides direct employment to more than thirty million people. In today's fashion scenario, textiles play an important role as costumes reflect ones personality. When we take the case of textiles, it not only include woven, knitted or printed fabrics used for making clothes but also materials used for furnishing, upholstery, carpets, lace etc. Production of this enormous variety of textiles necessitate the need for a career in Textile Engineering. Textile Engineering is that discipline of engineering which deals with the manufacturing of textiles. Textile Engineering is also known as Textile Technology. Textile Engineering is the study of textile production, processing and it's compatibility for the use of common man. It combines the principles of engineering with specific knowledge of textile equipment and processes. This field of engineering draws inputs from various other branches of engineering like chemical, instrumentation, computer, structural, electronic and mechanical engineering. 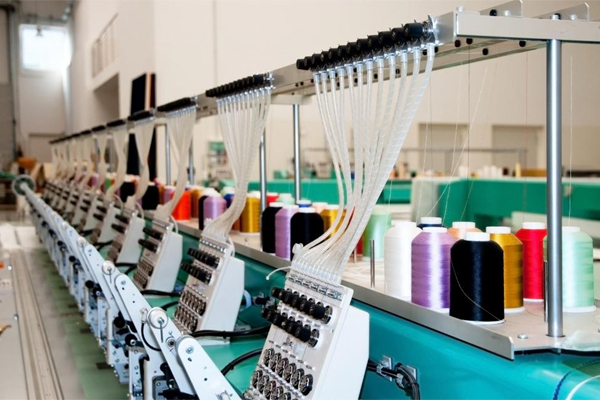 Textile technology/Engineering deals with the application of scientific and engineering principles to the design and control of all aspects of fiber, textile and apparel processes, its products and machinery. These include natural and man-made materials, interaction of materials with machines, safety and health, energy conservation, and waste and pollution control. There is wide scope for research in this area as the industry demands the need to improve currently available products and develop new ones. Textiles are utilised for innumerable purposes other than the manufacturing of garments. They are used in the manufacturing of carpets and furnishing like bed sheets and bed covers, quilts, table cloth, curtains and towels etc. It is also used for rags and dusters, tents and nets, kites, parachutes etc. Textiles have industrial uses as well. They are incorporated in firefighting suits, shuttle space suit, in carbon fiber composite rocket exhausts, and even in nose cones for NASA. According to its usage and texture, textiles are classified as Technical Textiles- made of zinc oxide and nanowires which enable protection from heat and radiation. Examples of Technical Textiles are protective clothing like firefighting suits, those designed specially for astronauts. Medical Textiles - besides gauze and bandage, textiles are also being used as sutures, orthopaedic implants, vascular grafts, artificial ligaments, artificial tendons, heart valves and even as artificial skins. Recent advances in medical textiles has led it to be used as extracorporeal devices which include artificial kidney, artificial liver, mechanical lungs etc. New materials are finding specialized applications like antimicrobial and antifungal fibres and additives used in barrier fabrics, abdominal post-operative binders, applications in neurodermatitis treatment and various other wound management and surgical treatments. Agro textiles - which protect the farmers and Agricultural Engineers from the adverse effects of soil and pollution, and Geo-textiles - which protect the people during construction work. The economic scope and importance of technical textiles extends far beyond the textile industry itself and has an impact upon just about every sphere of human activity. Textile Engineering is therefore very important for the development of technology for the benefit of the society.